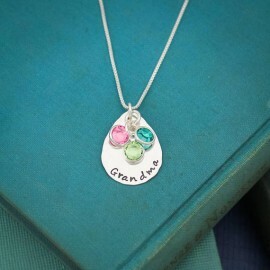 For the woman with many children or grandchildren. 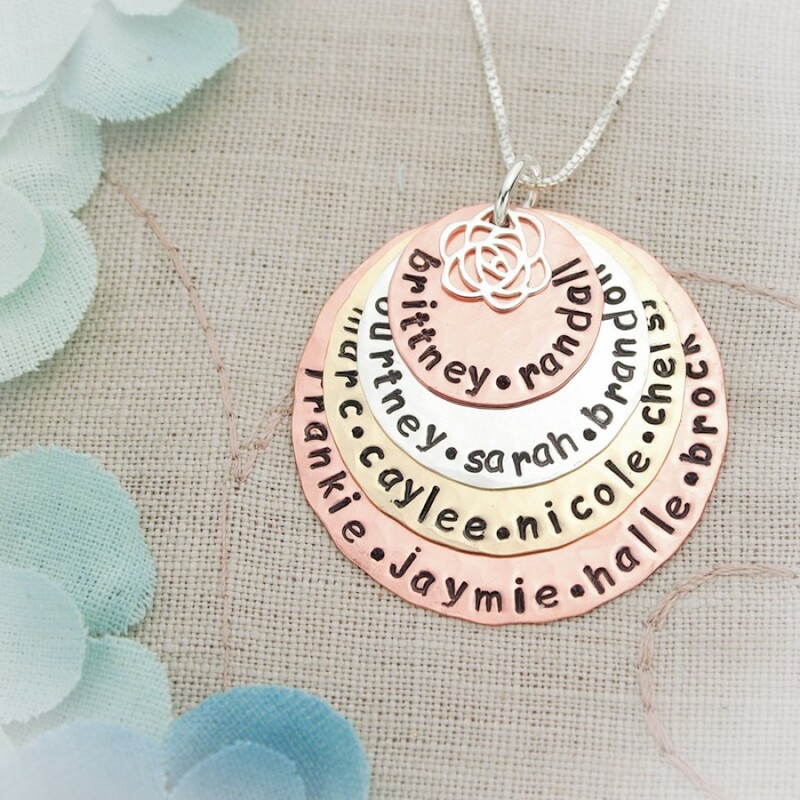 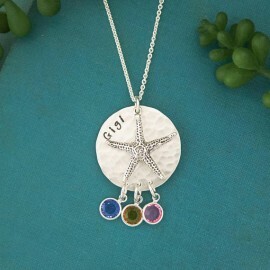 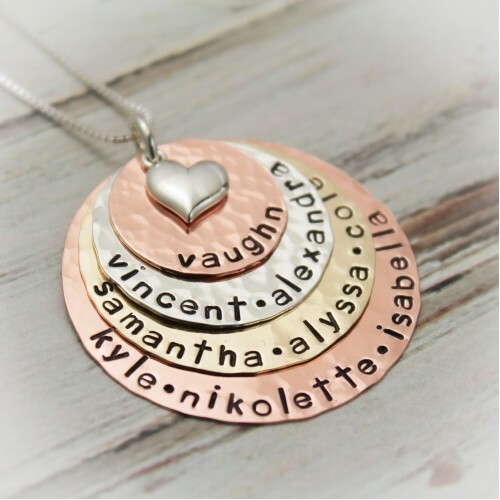 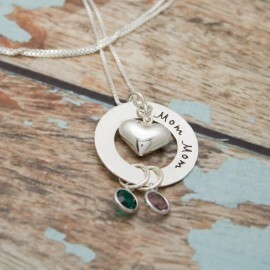 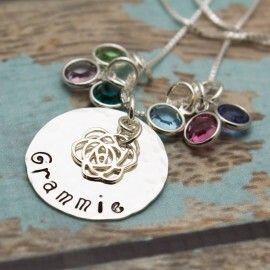 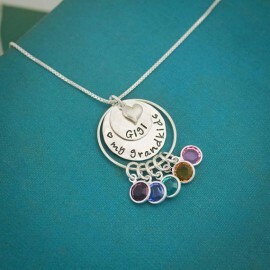 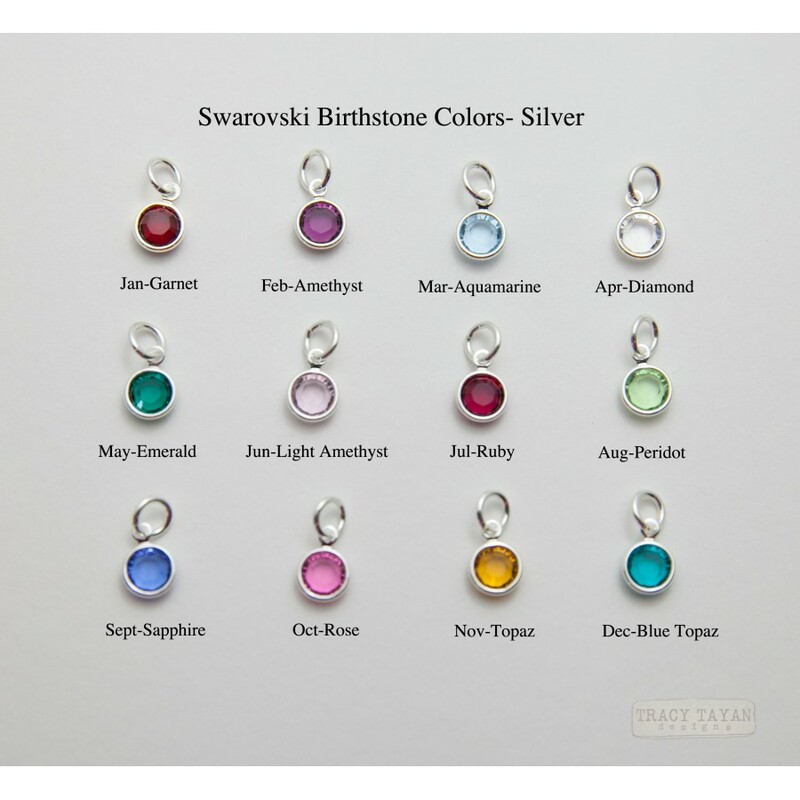 Honor Mom or Grandma with this one-of-a-kind necklace, personalized with the names of each of her children or grandchildren. 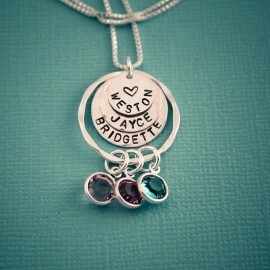 This will surely become a family keepsake. Available in any combination of metals. 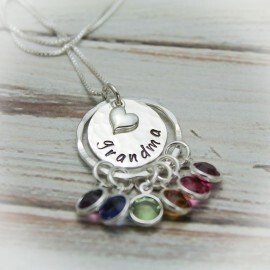 Price begins at $58.95 and varying depending on chosen options. 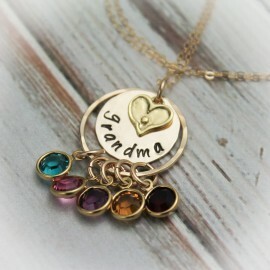 How many layers would you like? 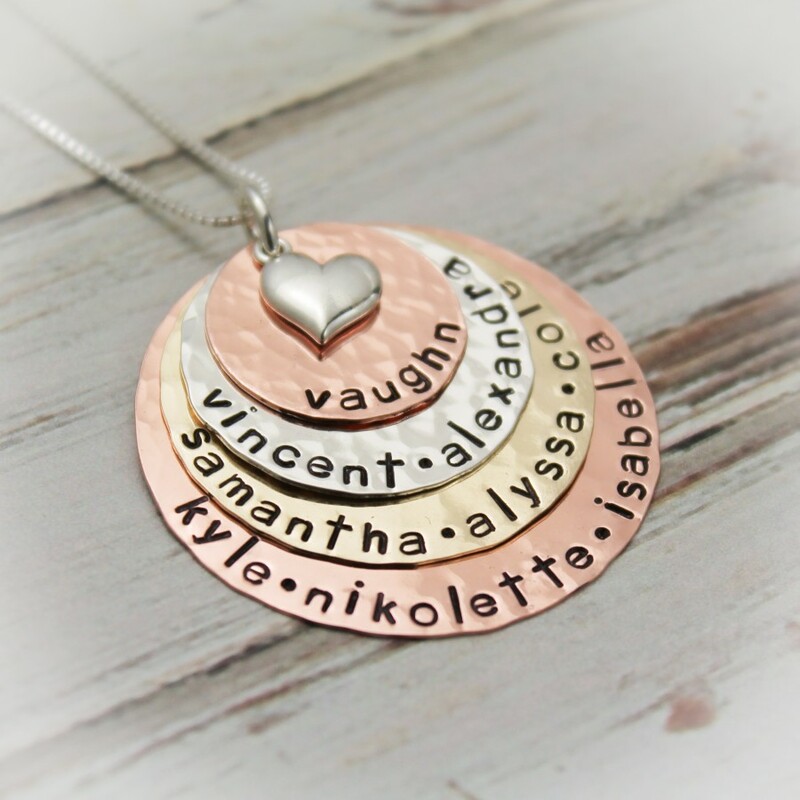 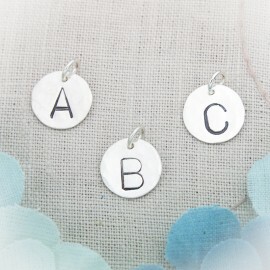 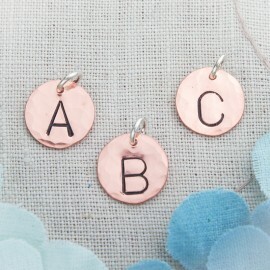 --- Please Select --- 3 Layers, largest 1-1/4"	4 Layers, largest 1-1/2"
Four hammered discs of silver, brass and copper, layered together and hand stamped along the bottom edge. 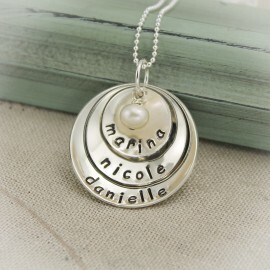 A lovely filigree rose sterling silver charm adorns the top of the discs. 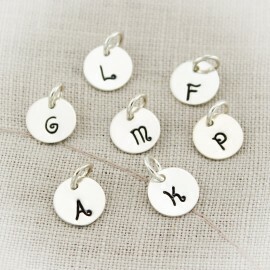 All letters will be lower case in kismet font. 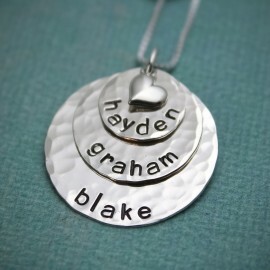 Top layer (3/4") can hold a maximum of 18 characters. 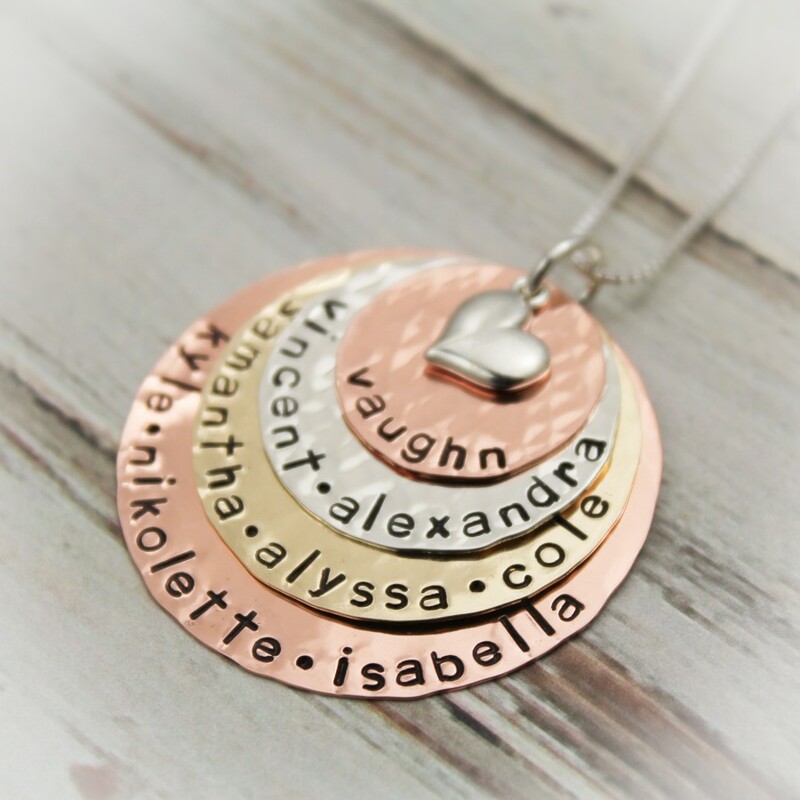 Middle layer (1") can hold a maximum of 20 characters. 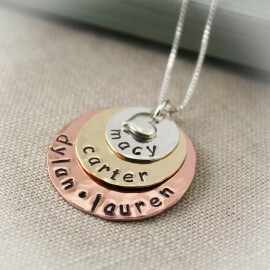 Disc #3 layer (1-1/4"") can hold 20 characters. 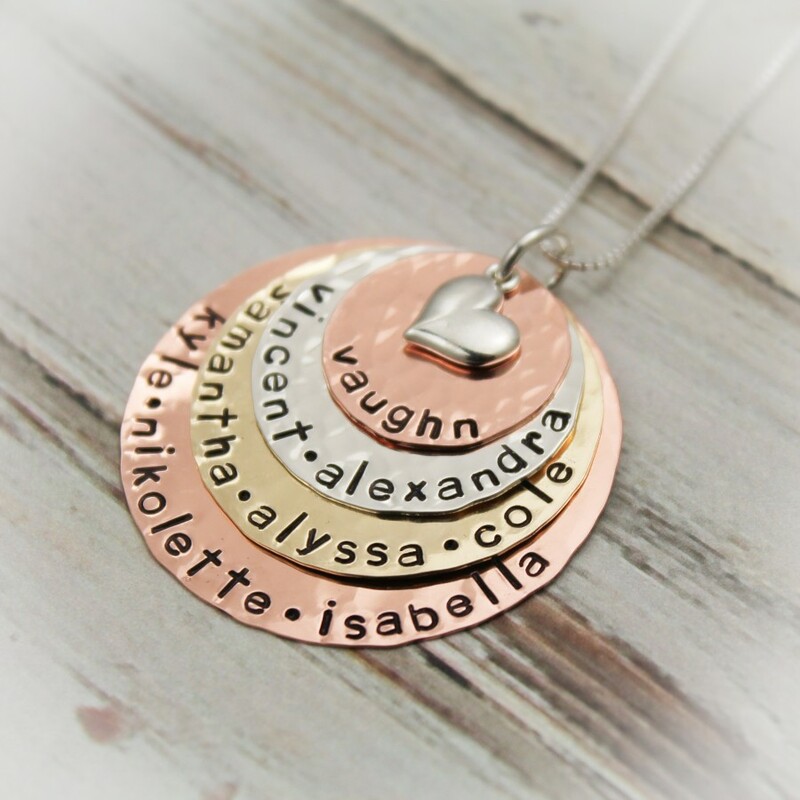 Disc #4 layer (1-1/2") can hold 25 characters.